A few weeks ago I attended a class at Sun Yoga, a yoga studio owned by a friend of mine in Tampa, Florida. For me, this was out of the ordinary. Sure, I’m an active person, and though I stretch a bit after my workout (when I remember to), yoga just isn’t part of my regular routine. Maybe I should re-think that. Because the class I went to was pretty great. My friend, Debra Fullerton, is an amazing instructor (if you’re in the Tampa area, I strongly recommend giving her a try), and really, it was a terrific workout. And though I thought I was in pretty good shape, some of the muscles I used in the class begged to differ and complained to me about it the following day. What does this have to do with skiing? Everything. 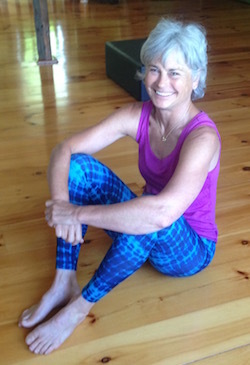 Because after I returned home to Vermont, I got in touch with Karen Dalury at Killington Yoga. 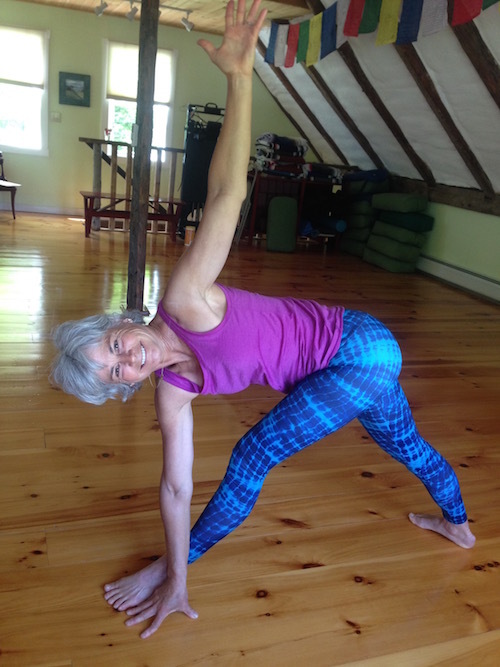 An instructor at Killington Ski Resort, Karen has a yoga studio that’s just a few miles from the mountain. And while she sees yoga as a great way to stay fit in a general sense, she especially advocates it as a way to condition your body for the ski season to come. 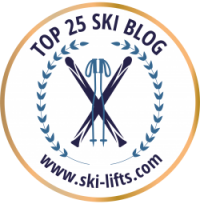 I recently spoke to her about how she sees yoga fitting into a ski conditioning program. Q: So tell me about yourself, Karen. How long have you been teaching? A: I’ve been teaching yoga since about 1990 and practicing it a lot longer than that. Initially I got into yoga because of the spiritual aspect; I found it looked at things in an interesting way. But what kept me with it is its physical benefits. I’m an active person and I’d like to remain that way. I’ve had a lot of back issues over the years, and yoga helps keep me going. 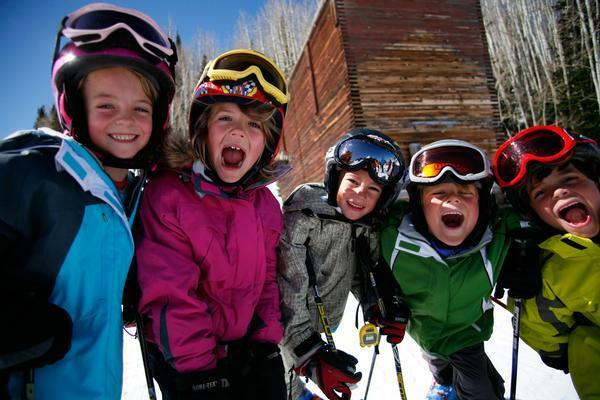 I ski every day in the winter; I’m an instructor at Killington and I work for PSIA. I’m a telemark professional, though I teach alpine as well. So I do yoga year round. 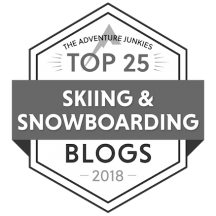 Q: So why is yoga good for skiing? A: Skiing is a physically demanding sport. We’re asking a lot of ourselves out there. I see that a lot, even with my co-instructors who want to attain higher levels of achievement or certification. What’s holding them back? Their bodies. They can’t physically do what they need to do. For example, when you ski, you need to create angles with your knees, your hips and your spine, and you need to maintain dynamic balance. They can’t do that. Their hips are too tight, or they don’t have the range of motion they need to get to the next level. Yoga is key. It’s not just stretching; it’s a very dynamic practice. 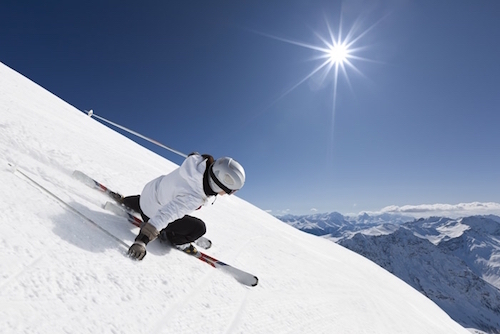 What many people don’t realize is that being fit for skiing isn’t just about being strong. In the past I’ve said to myself ‘this is the winter I’m going to get my legs and core super strong,’ and all I’ve ended up doing is injuring myself, and that sets me back. So literally, all I do now for fitness is yoga. Oh, and I stand up paddle board, too. What’s so great about yoga is that it takes your body through complete range of motion and builds strength at the same time in a wide range of angles or positions. For instance, the hips are meant to be able to flex, extend, and rotate, and move out this way and that way. But once you get to be about thirty, you lose some of that if you don’t work on it. And just being flexible alone isn’t enough. You need to have stability, too, so you don’t injure yourself. What yoga does is build suppleness and stability at the same time so you’re balanced. I can do things on the mountain that many of my cohorts can’t because I have more range of motion for someone my age. Q: Does yoga benefit skiers in any other way? A: Absolutely. Yoga helps you achieve better focus and stay present. When I ski, I’m consciously, consistently practicing breath control and focus. When you’re in a mogul field, for example, you need to look ahead so you know what’s coming. But you also need to stay in the present and not think too much. If you’re skiing fast, you better be in the moment and you better be focused. 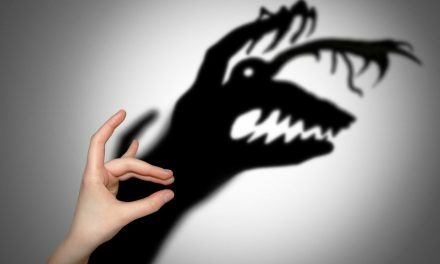 And if you’re in a fearful situation, yoga can help with that, too. You can literally change the way you feel and your body’s chemical reaction by changing the way you breathe. A few cleansing breaths and focusing on the moment can be a big help. Yoga is like a super power, but it has to be practiced and developed. When you’re standing at the top of that gnarly run isn’t the time to start. That’s where you want to call on the skills that yoga helps develop. You have to work on them before you get there. And you can build those skills during the off season. 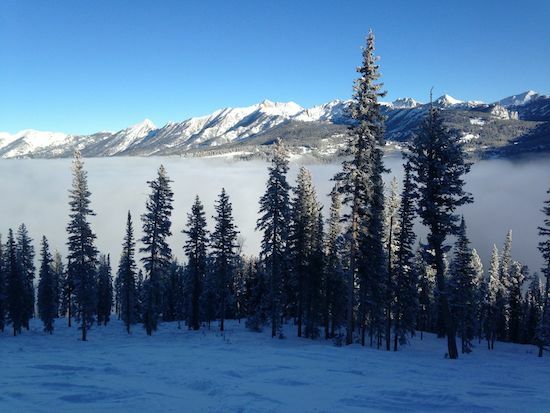 Q: So how should yoga fit into a ski conditioning program? A: Yoga is not a quick fix. Starting it now would be beneficial. After all, good things take time. I find that in the winter when I’m skiing each day, my yoga practice is just maintenance. The summer is when I can really improve and get to the next level. It’s not about putting your feet behind your head, it’s about reclaiming your freedom in your body. Q: What type of yoga do you do? A: I don’t teach just one kind of yoga. I teach many different styles, though right now I’m predominately into the alignment based styles. I teach a slow style which is mellow and patient and I’m finding it’s more the sort of yoga I need. It lets the joints unravel, rather than actively stretch. There’s something for everyone. You just have to find the yoga style that works for you. NextMy Year of Going Without. Why We Love Spring Skiing. Trees: Are they out to get us?